Maylee has always been kind, intelligent, and slightly feisty. Since her birth in Lagrange, Georgia, she has also been a picture of health. So when she got a violent stomach virus at the age of three, her mother, Kristin, knew it was more than just a bug. Mom was right. As the emergency room staff began giving Maylee fluids, they also tested to see if she had meningitis. Those tests found something much more sinister; Maylee’s blood had leukemia cells in it. After confirming the diagnosis, her doctor sent her by ambulance to Children’s Healthcare of Atlanta where she would spend the next six weeks. Maylee’s chemotherapy treatments were very aggressive. Every child responds differently to treatment, and her little body had difficulty rebounding, which forced longer hospital stays. She also had a very unusual emotional response. Fortunately, Maylee reached remission soon and found a routine in the hospital, although her feistiness never let her totally forgive the doctors. After seven months, she finished treatment and was declared cancer-free. Maylee and her family began to settle into a new routine of normalcy. She welcomed her second brother into the world and began school. But during the summer of 2018, she began to snore. It might seem innocuous, but Kristin’s mother’s intuition struck again because she had been told sleep apnea can be a sign of relapse. As they rode to the hospital for doctors to evaluate Maylee, Kristin began steeling herself for another fight against cancer, feeling the familiar mix of fear, faith, and comfort. Something new awaited Maylee at the hospital, though. Since her original diagnosis and with a $4.5 million grant from CURE, the Aflac Precision Medicine Program had launched. This program allows doctors to look at the genetic makeup of a child’s cancer and then search for a treatment designed specifically to treat the genetic abnormality at issue. Once doctors confirmed her cancer had returned, they looked at the genetics of Maylee’s leukemia and found very interesting results. The genetic testing revealed that Maylee has a gene called CEBPA, which causes her to be predisposed to developing leukemia. Strangely enough, doctors were happy to find this gene because they know it responds well to treatment. If genetic testing had been available when Maylee was originally diagnosed and this gene discovered, Maylee’s treatment would have been different. Rather than the months of chemotherapy, Maylee would have immediately received a bone marrow transplant. Thankfully CURE’s funding allowed the program to launch in 2017, in time to help Maylee when her cancer returned not to mention so many other children yet to be diagnosed. Maylee has since had what is called an allogenic stem cell transplant and is recovering nicely. She is once again in remission and focusing on getting well. The discoveries from her genetic testing didn’t end there, however. Doctors also found that her leukemia is familial and that her two brothers share the gene that predisposed Maylee to it. Maylee’s brothers were immediately enrolled in the new genetic predisposition clinic. Maylee has completed treatment and is home growing stronger each day. She ultimately forgave her doctors but was thrilled to leave them behind. While she gets better, Maylee dreams of a return to normal life with no more hospitals, cancer, or chemo. And as each day passes, she inches closer to lacing up her cleats and playing soccer without a care in the world besides the goalie in her way. In 2017, CURE made an unprecedented $4.5 million commitment to the Aflac Cancer Center of Children’s Healthcare of Atlanta to launch the Aflac Precision Medicine Program (APMP). 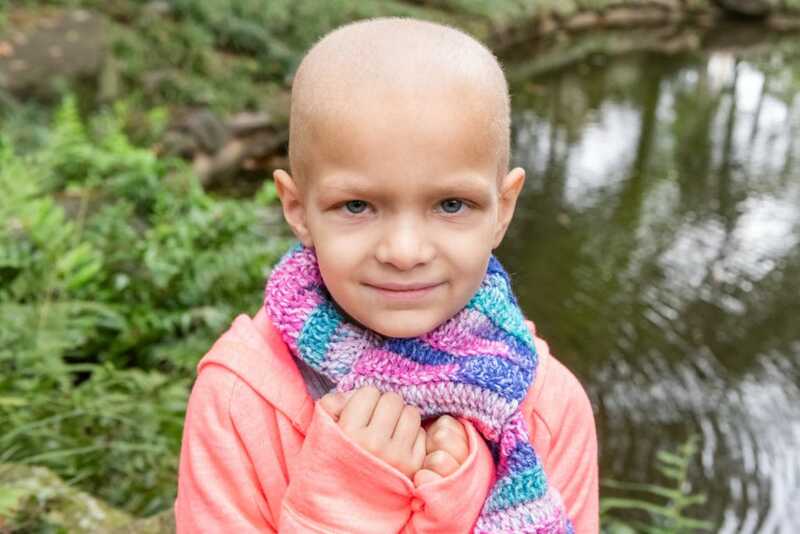 With this award, the Aflac Cancer Center would become one of only a small handful of pediatric cancer centers nationwide able to offer this cutting-edge treatment approach to children with cancer. Maylee’s story shows how important this program has become in only its second year. An easy way to understand precision medicine is to think of it as “personalized medicine.” Although we know that every child is unique, today’s childhood cancer treatment does not take into account the genetic differences of each child. Rather, a child’s cancer is treated according to disease type. But often, children with the same type of cancer respond differently to the same treatment. A chemotherapy which is effective for some may fail altogether for others because of the genetic differences at play. That is where personalized medicine comes in. 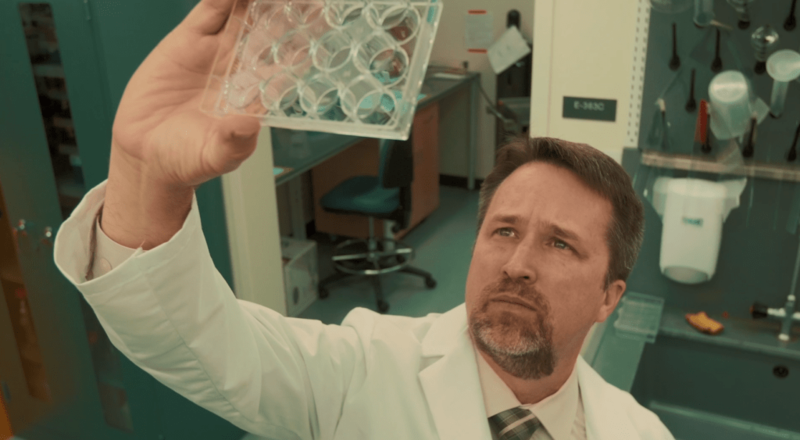 Over the past twenty years science has made incredible leaps in discovery by finding what is referred to as genetic barcodes – our DNA and RNA. We now understand what healthy cells look like and can often find triggers or markers in a tumor where something went wrong with a gene. By locating and isolating that problem and finding chemotherapies or other treatments proven effective against the genetic problem, doctors hope to improve survival while also minimizing exposures to toxic treatments which are not likely to work. The first step in the process is getting the child’s genetic information. Since July 2018, more than 40 relapsed or high-risk patients have been enrolled in the Aflac Cancer Center’s Precision Medicine Protocol. Fully funded by a three-year grant from CURE Childhood Cancer, the APMP is well ahead of schedule. In this second year, thirty patients were expected to be enrolled in the program. However, Dr. Graham and Dr. Wechsler report they have enrolled many more than that. The groundwork has now been laid for more and more children to benefit from this new area of science. While information is the key to the program, it is also the most significant limiting factor. The sheer complexity of the human genome is overwhelming, and not many are people trained to interpret genetic data. Biological informatics is a growing field of study due to this demand, and the APMP is working with the best resources available. Also, there are currently only a handful of pediatric cancer centers across the country which precision medicine programs and the volume of information being recorded by each is significant. Finding ways to share information is a challenge to progress. This is changing, however. Doctors from the APMP are working with Memorial Sloan Kettering in New York, Cincinnati Children’s Hospital, and other leading centers to develop collaborations and efficient ways to share data. 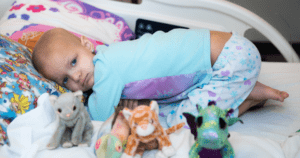 CURE Childhood Cancer remains determined that precision medicine is one of the most promising methods for improving survival rates in children. And we steadfastly believe that our children deserve the best and safest options available.